Saugatuck Rowing and Fitness Club, the premier rowing, fitness and dining facility in Fairfield County, was voted “Best town gym in Westport, 2017” by Moffly Media’s “Best of the Gold Coast,” offering a team of dedicated professionals who are committed to health and wellness, the full service fitness center is conveniently located on the scenic Saugatuck River, only three blocks from the Westport train station. Debra “Deb” Friedman, the club’s new Fitness Director has been working as a personal trainer, group fitness instructor and fitness manager for over 12 years. She is optimizing the program with fresh & up to date Group Fitness classes including the club’s signature “Studio Row” class, P90X, Pilates, Early Morning Yoga, Barre-Less Barre, Myofascial Stretch and Core to name a few. Friedman is managing a team of innovative trainers, offering personalized and functional fitness programs. No other gym in Westport offers such beautiful river views while running on a treadmill or working with a personal trainer. Our goal is to help our members achieve their fitness goals, build a strong body and find freedom from stress through careful attention to your personal and physical goals. Saugatuck Rowing and Fitness is internationally recognized as a premier rowing facility with highly decorated Master’s U.S. National Championship and Junior U.S. National Championship programs. Winning the Junior U.S. Nationals for the 3rd year in a row, the club has become one of the most desirable training grounds for beginners — starting at age 12 — to elite rowers in lower Fairfield County, CT. 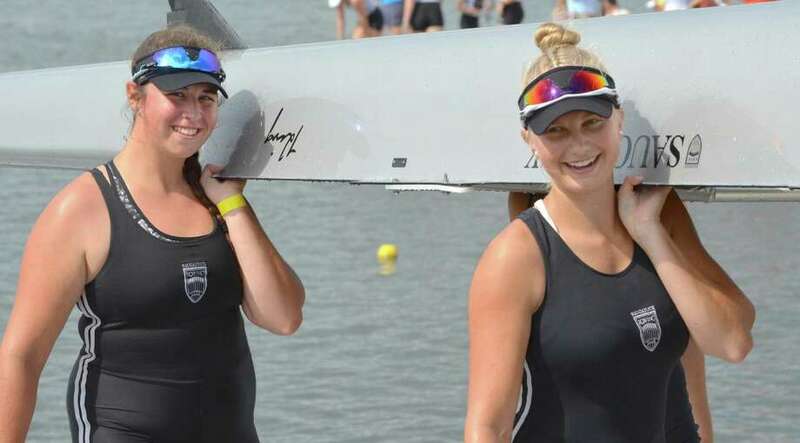 Under the guidance of our new General Manager, Suzanne Pullen and Rowing Director Sharon Kriz, the club is continues to build a welcoming community for both rowers and non-rowers alike. So, come and check in at the front desk, head upstairs to our fitness facility with a complimentary 3-day pass and help us celebrate our “Best of the Gold Coast” win for “Best Town Gym in Westport” this summer! Or simply, come in or call 203-221-7475 to learn more about the facility. Ask for Suzanne or Laura and we’ll welcome the opportunity to showcase our riverfront club.